Hereford, England, 17th March 2017. Business networking event organiser, #Marcheshour, today announced a date for its first networking event in 2017. The date is April the 11th; the venue is Rocket Kitchen Café on Church Street in Hereford. #Marcheshour started life as a weekly Twitter based business-networking event. The twitter based event takes place every Wednesday from 1pm to 2pm. 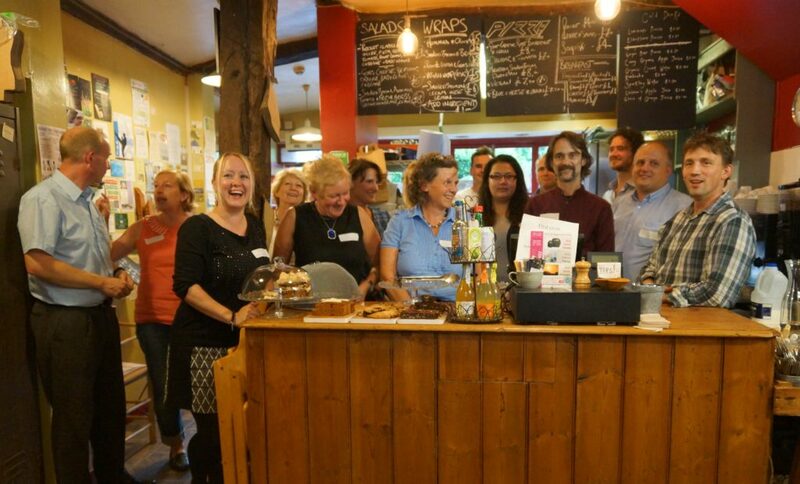 The event expanded to include a physical quarterly meeting, at Rocket Kitchen Café Hereford. Speaking about the first #Marcheshour at Rocket Café kitchen this year, the event facilitator Temi Odurinde said, “We would have loved the first #Marcheshour event this year to happen in the first quarter, a diary clash meant the first available date was in April.” He added, “The most important thing is that we have a great date, with at least two fantastic speakers lined up”. “Skilled social media marketing expert Mark O’Donnell will be speaking on how to use Instagram effectively, we also have social enterprise expert Elaine Edwards speaking on how to get the most out of a social enterprise business model”. It is free to attend #Marcheshour at Rocket Kitchen Café. Tickets are available at Eventbrite. Additional information about #Marcheshour weekly twitter business networking is available at Marcheshour.co.uk and their twitter page. Tags: business networking, Herefordshire, Hereford, #Marcheshour, Shrewsbury, Twitter, social media training, small biz networking, free networking event.